Tarun is a highly analytical and solutions-oriented senior executive with consistent success in controlling costs and improving net profitability, while continuing to support critical operations. He excels in examining processes end-to-end, deducing possible outcomes, determining areas for strategic benefit, and delivering target objectives. He has delivered ROI worth 170+ Million Dollars across various countries. Prior to this, he has worked with Maflow Group (which is one of the European leaders in the automotive sector) as a Deputy Global Purchasing Vice President, a position which was based in Mexico and Italy. He had direct corporate “buy” responsibility for approximately 40 million Euros and had been assigned an aggressive goal for continued annual material cost reductions on a global basis. He led and directed all strategic and tactical sourcing efforts to achieve business goals and to implement a world-class sourcing organization responsible for a purchase of about 120 million euro, distributed among 16 facilities in 10 countries. Has rich experience in directing and training for the continuous improvement implementation. 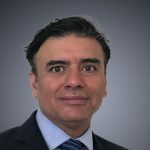 His proven areas of expertise are but are not limited to Supply Chain Optimization, Global Capacity Management, Cost Reduction Strategies, Lean Six Sigma, Procurement, and Purchasing. He has more than 12 years of experience in automotive sector wherein he has played a vital role in the overall business growth of the companies by developing and implementing the appropriate global strategy and support tactics for the continued improvement of purchased and indirect materials and services worldwide. He has a Bachelor’s degree in Mechanical Engineering and Master of Arts in International Business.